Retrocommissioning (RCx) or Existing Building Commissioning refer to a technical process that retrofits and tunes building HVAC control systems so that buildings function more efficiently and effectively. 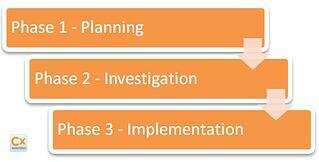 The RCx process has historically included three primary phases: Planning, Investigation, and Implementation. Additional steps in the process as detailed in the BCA’s “Existing Building Commissioning Best Practices” document include turnover and persistence. While these steps have been widely accepted by the commissioning industry, our experience and that of other implementers has identified opportunities to evolve the process to increase market acceptance of commissioning existing buildings. RCx 2.0 is that evolution. The first step in the process needs to be qualifying the building. RCx is a significant investment and that expenditure only makes sense when the building has attributes that make it a good candidate for the commissioning process as a means to improve energy efficiency, reduce maintenance, and improve indoor environmental quality. 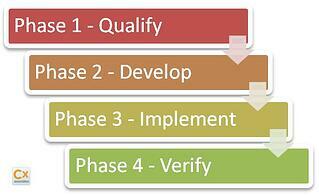 Once a building is qualified, it’s time to develop the project. The first step in development is establishing the customer facility requirements to ensure all parties understand the work that the building systems need to do. The commissioning provider conducts in-depth, on-site investigation with the controls contractor and building operations staff. Development should include preliminary pricing from the controls contractors and their subs, estimation of costs and benefits that will result from the upgrades, and considerations of other impacts such as comfort improvements. Ultimately the development phase needs to include the design of the measures to enable final pricing and implementation. One key aspect of developing an RCx project is estimating energy savings. Energy savings estimates need to be based on measured baseline parameters including equipment energy use and load. Using rigorous methods to establish the baseline will improve the accuracy of energy savings estimates. Because customers and often utilities are investing in these projects, delivering the savings we promise is essential for the development of continued market demand for RCx. Because RCx 2.0 embeds design in the development phase, implementation is streamlined. It involves the controls contractor undertaking the system improvements while the commissioning provider commissions the work. After commissioning is complete, the commissioning provider should measure the energy use and loads of the affected systems and verify savings for the owner, the utility, and themselves. Establishing a feedback loop will improve savings estimation methods over time, increase confidence in the work of commissioning providers, and enable us to fix the things that are going wrong to improve the persistence of the measures we are promoting. There are many market barriers to existing building commissioning. Our industry must continuously evolve our methods and approach to address those barriers on an ongoing basis. If you are a Vermonter interested in RCx, check out Efficiency Vermont’s and Burlington Electric Department’s incentive programs for building retrocommissioning to help overcome the upfront costs. The City of Austin, Tx has been named a finalist in the Bloomberg Climate Challenge. Austin will lead by example in building efficiency, retrofitting and retrocommissioning buildings with high energy use. By 2020, the city will retro-commission the 10 municipal buildings with the biggest potential for energy savings. The U.S. Air Force also understands the value of RCx. An energy modernization project is expected to save $1.7 million annually by reducing overall energy and water use. Even Las Vegas is betting on RCx for energy savings. 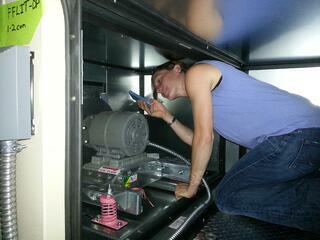 Harrah’s, Las Vegas is saving $310,000 annually through savings found in a retrocommissioning investigation. RCx can help the facility and its systems meet the owner’s current facility requirements – not necessarily the original design requirements – to improve operating efficiency and indoor comfort.